10% off M&M Lures entire store of umbrella rigs, teasers, accessories, and other trolling lures for the 2014 holiday season. 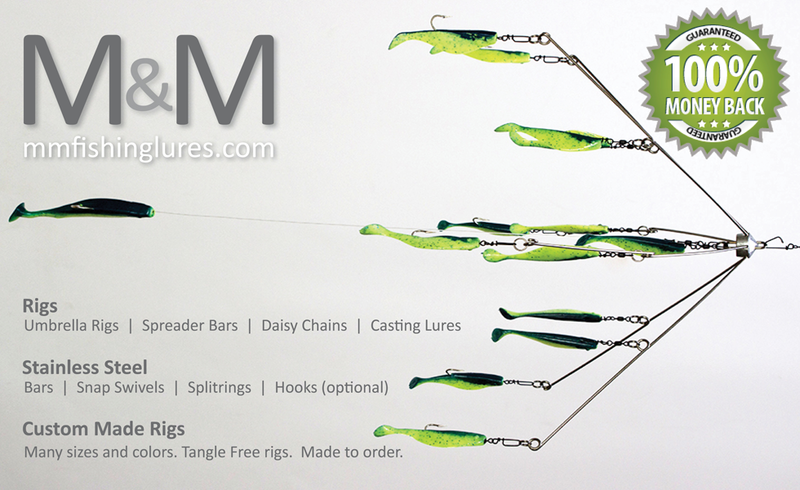 M&M Lures make the perfect holiday gift for any fisherman. M&M Lures would like to welcome Jersey Tackle in Brick NJ as our newest dealer! Macos Bait & Tackle in Buzzards Bay has been restocked!